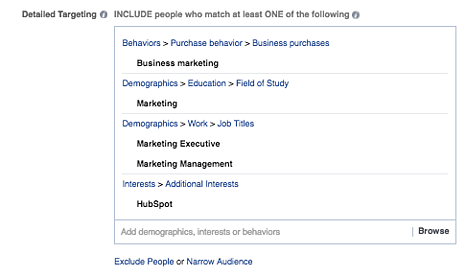 If you’ve ever set up a Facebook ad, you’re about 75% of the way there. 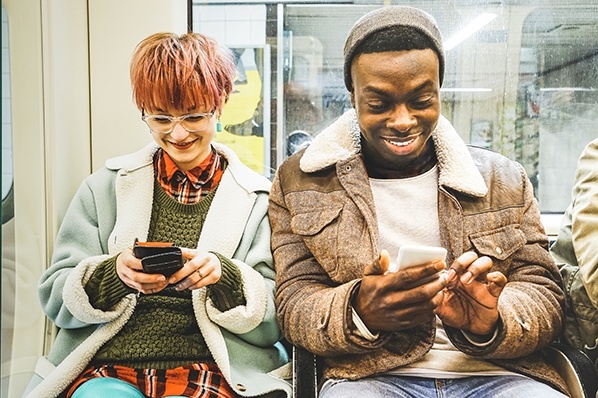 After Facebook acquired Instagram back in 2012, the platforms conveniently merged, making setting up Instagram and Facebook ads merely the difference of a couple clicks. 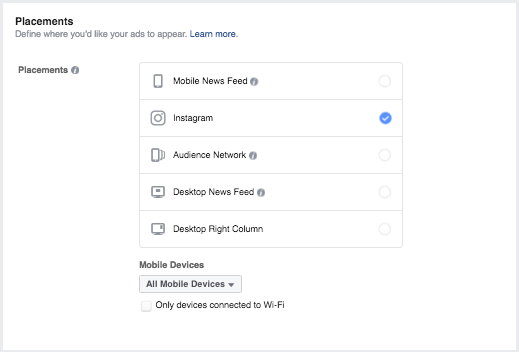 So even though your intent is to run ads on Instagram, all of the ad setup, budgeting, scheduling, and creation is done through Facebook's platform. Once you've selected an editor, you’ll see an option to either view all campaigns, or create a new one. 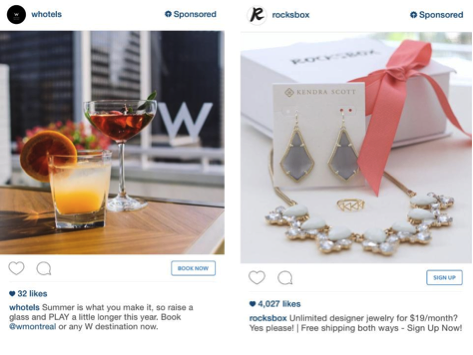 To get started with an Instagram ad, you'll want to create a new campaign. For this article, we're going to select: "Send people to your website." When you select this option, you’ll be prompted to name your campaign. This may seem like a simple task (and it is) but it's a good idea to have some sort of naming convention or set process within your company. This will make it easier for you to keep campaigns straight as you continue to create them. 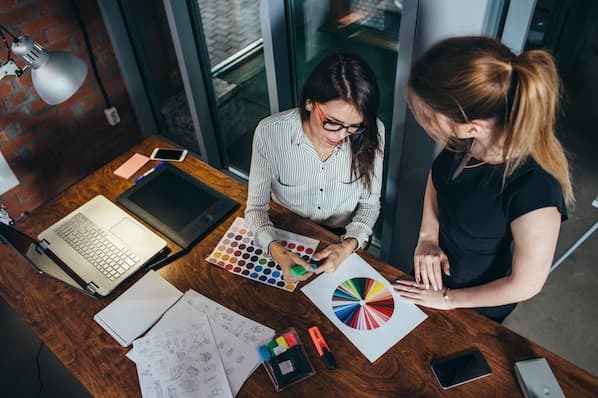 In terms of the objective we selected -- "send people to your website" -- we'll want to target a more specific group of people: the type of people that are actually going to be interested in the content we present. 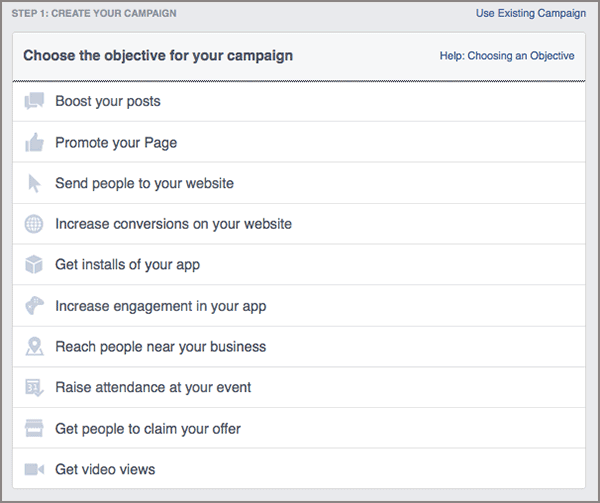 This step is the biggest differentiator between setting up Facebook ads vs. Instagram ads. To move forward with the Instagram ad, you’ll want to uncheck all the boxes except for "Instagram." The other aspect to setting your budget is setting your schedule. You’ll need to choose exactly when you want your campaign to start and finish running, down to the minute. There are also options to set parameters so that your ad runs only during certain hours of the day or during specific days of the week. You can find these options in the "Ad Scheduling" section. Link Clicks (which is what the platform recommends): Your ads will be delivered accordingly to get the most clicks to your website at the lowest cost. This is all based on the platform's algorithm. This determines how effectively your ad is delivered. When you look "behind the scenes," you’re competing with other advertisers trying to reach a similar audience in a constant auction. You can choose either Manual or Automatic. 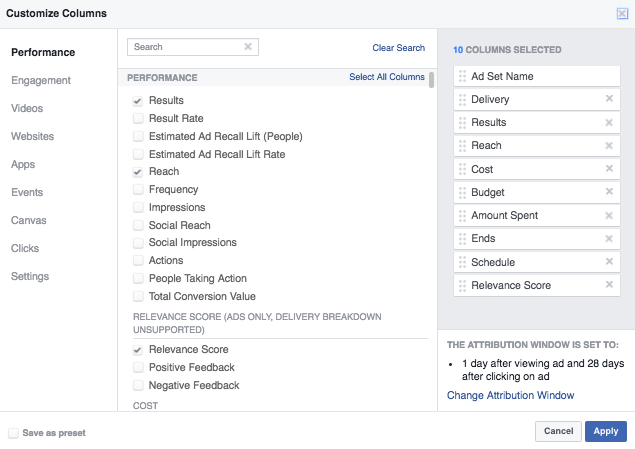 Automatic leaves it up to Facebook’s algorithm to deliver your ad -- ideally getting you the most clicks for the lowest cost. 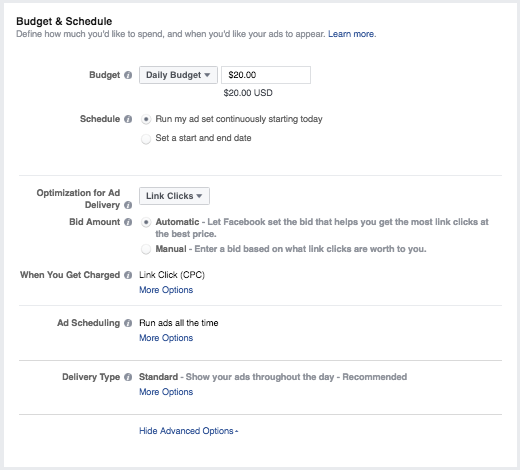 Manual allows you to set a price for link clicks. If a link click is worth a lot to you, try setting a higher than suggested bid, and your ad will be displayed over a competitor with a lower bid. This is where your creativity comes in. 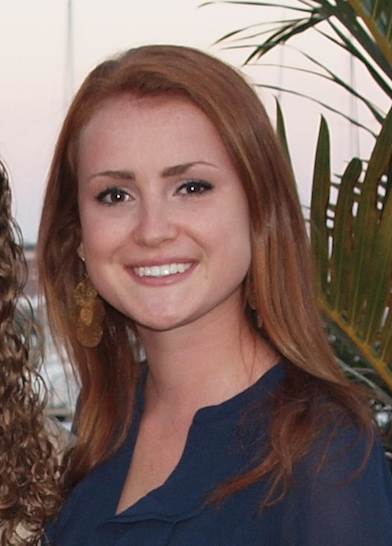 Here you'll decide what you want your ad to look like, which will depend on your original objective, of course. Multiple Images (also called "Carousel"). 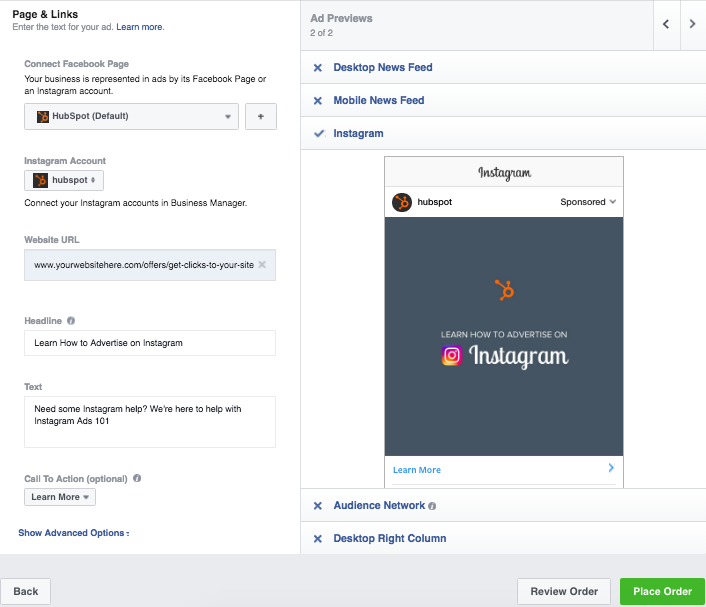 However, since our intent is to post ads on Instagram, you’ll need to connect your Instagram account to your Facebook ad account. To do so, click “Add Account” (you'll need your Instagram username and password to do so). 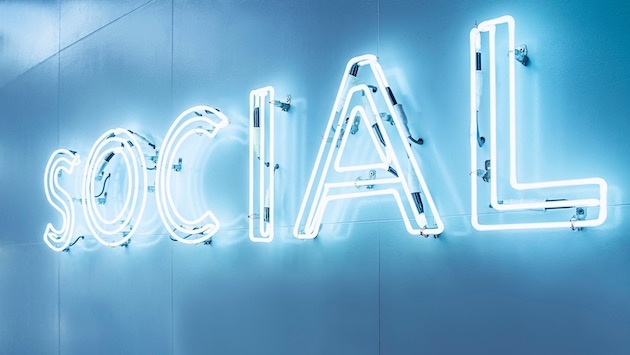 If your business doesn’t have an Instagram account, you can still run ads on Instagram -- they’ll just come from your business' Facebook Page instead. 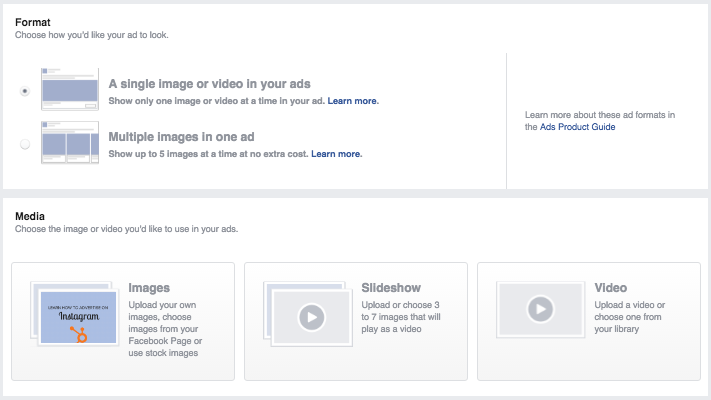 In other words, your Facebook Page name and profile picture will be used to represent your business within your ad as it runs on Instagram. Next is a very important step: putting in the website URL to which you’re trying to drive more traffic. If you're using marketing automation software, be sure to create a unique tracking URL with UTM parameters for this to ensure that you'll be able to keep track of traffic and conversions from this ad. You have up to 2,200 characters -- but don’t go crazy. Facebook recommends you keep your text under 125 characters, which is the amount that’s displayed without needing to click “more." At this point, you'll have the option to edit the "Advanced Options," but only if you wish to. Advanced Options include adding tags, changing your display link, entering URL parameters, setting up sponsors, and opting in or out of pixel tracking. Once everything is all set, you're ready to place your order. Doing so is pretty easy: Just click the big green button in the bottom left corner. As always, be sure to check over everything -- especially since your ads have the potential to be seen by a large audience. If you want someone else on your team to take a look at them before they go live, set your schedule to include a delay, but still place your order. You run the risk of losing all the work you've done if you don't place the order right away so we'd encourage you to place it first, and then go back and adjust the timing if need be. In the upper right-hand corner, you’ll see a button that says “Columns: Performance.” If you click the drop down menu, there’s an option to customize columns, which allows you to choose the specific data you want to see. There’s data ranging from CPC or CTR, to things much more specific like "Adds to Cart" for ecommerce stores.